Ward Cartoonist: Santa Claus: Home Teacher Extraordinaire! Santa Claus: Home Teacher Extraordinaire! I've given Santa Claus grief on this blog before for his tithing and his tendency to abuse his Elders Quorum, so let me give credit where it's due: The guy is a Home Teacher super star! 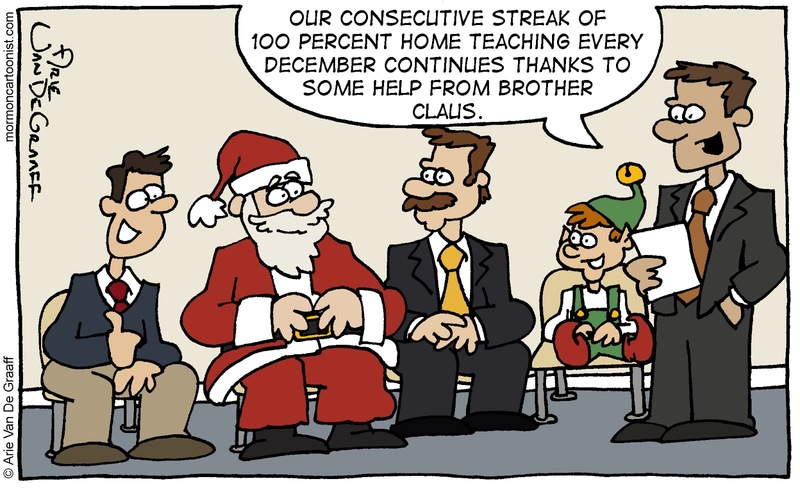 Shoot, not only can his ward count 100 percent home teaching for the month of December based on his efforts, but every ward in the world should be able to do the same!